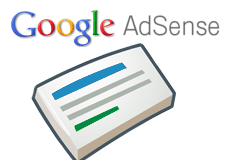 Home > Google News > Google AdSense > Did You Get Your Taxes From Google AdSense? Did You Get Your Taxes From Google AdSense? Google has begun sending out the 1099 tax forms to qualifying Google AdSense publishers last and this week. A WebmasterWorld thread has some publishers claiming they have received theirs. Not every publisher gets one. You have to be U.S. resident, the income has to be paid to an individual and you have to earn over a certain threshold I believe. Google has some of their AdSense tax information over here, if you are curious on the details. I mocked this up myself. 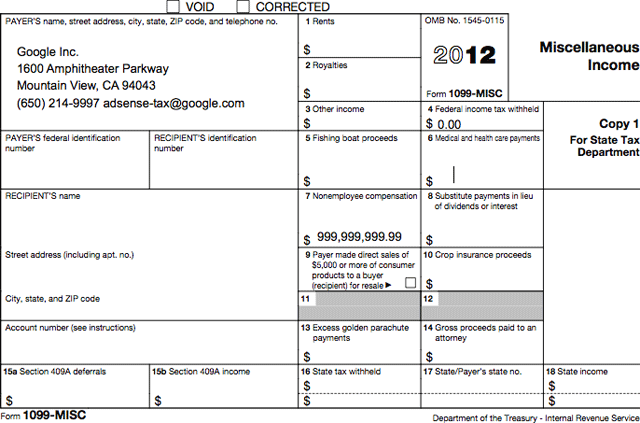 In any event, I hope your 1099 looks excellent for 2011!